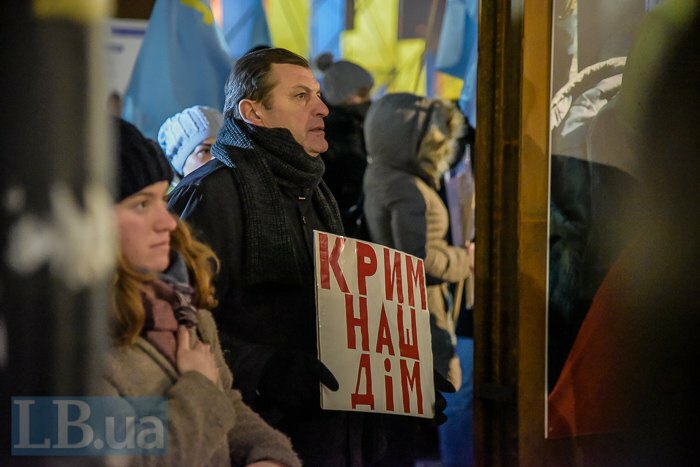 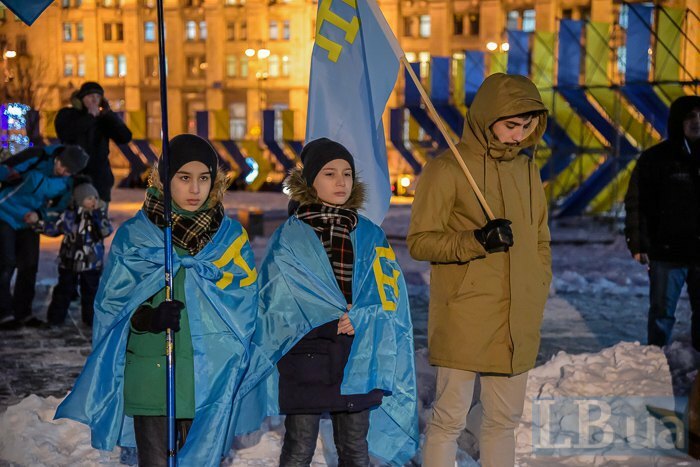 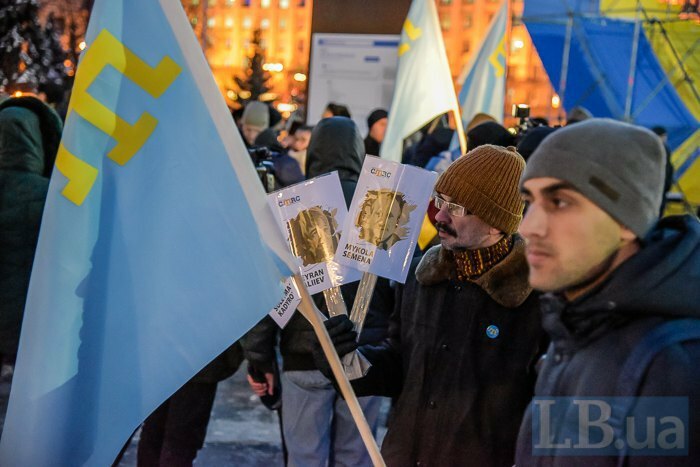 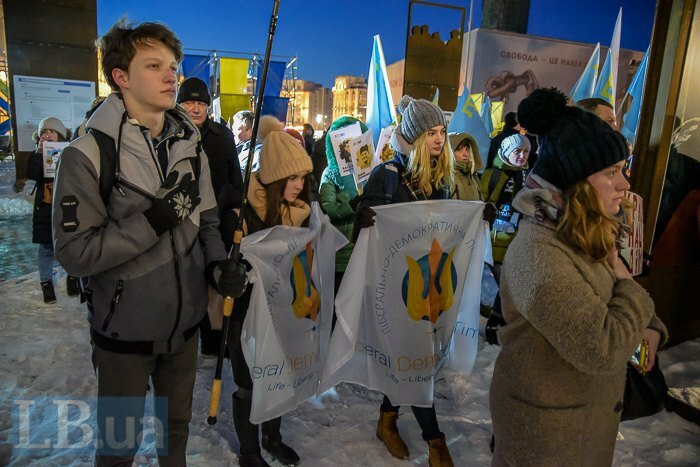 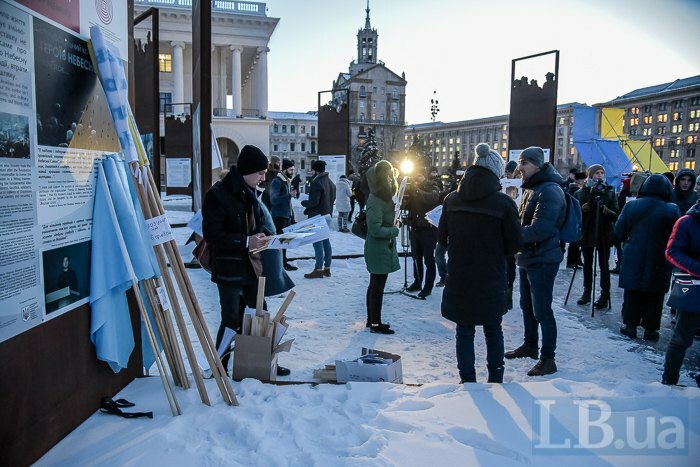 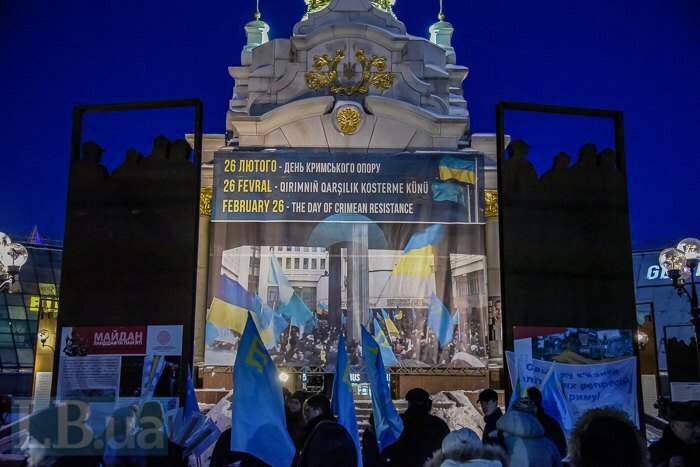 A rally in solidarity with the Crimean Tatar people, Ukrainians and representatives of other nationalities living in the peninsula temporarily occupied by Russia and keeping their dignity and loyalty to Ukraine has been held in Kyiv on Day of Crimea's Resistance to Russian Occupation. 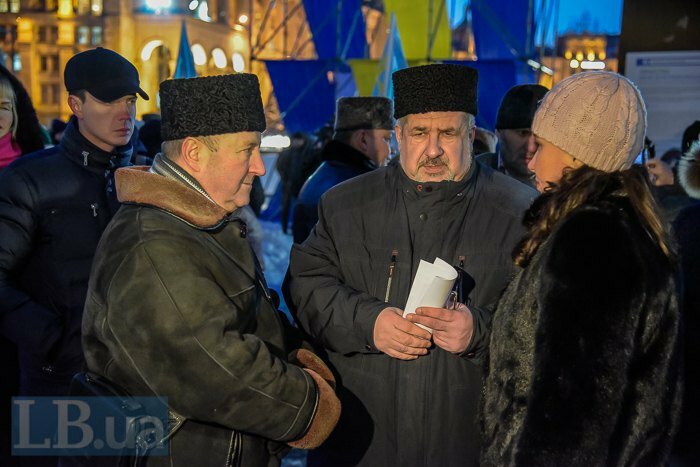 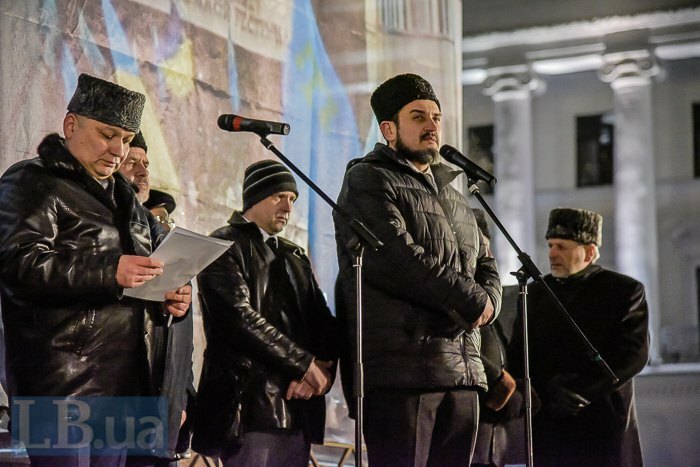 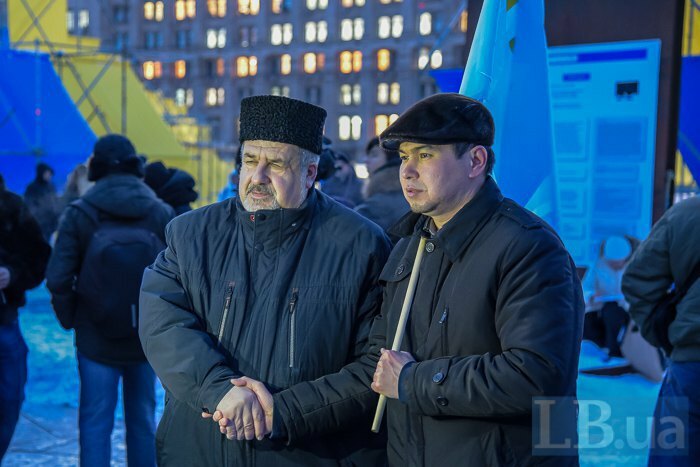 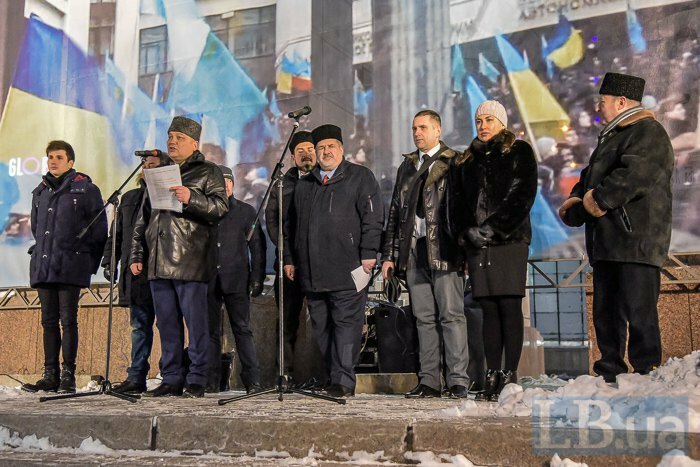 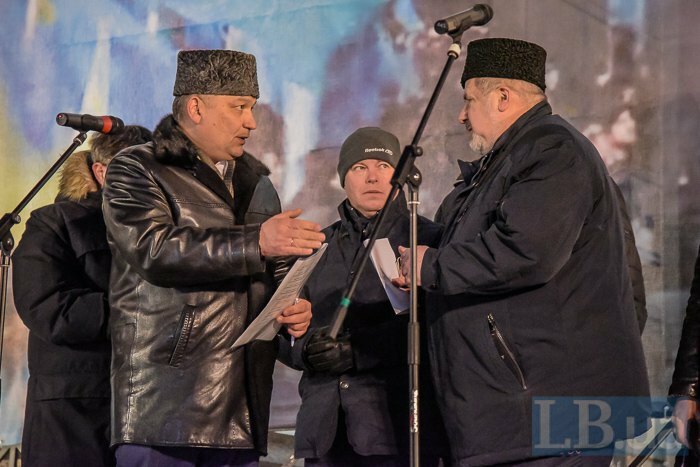 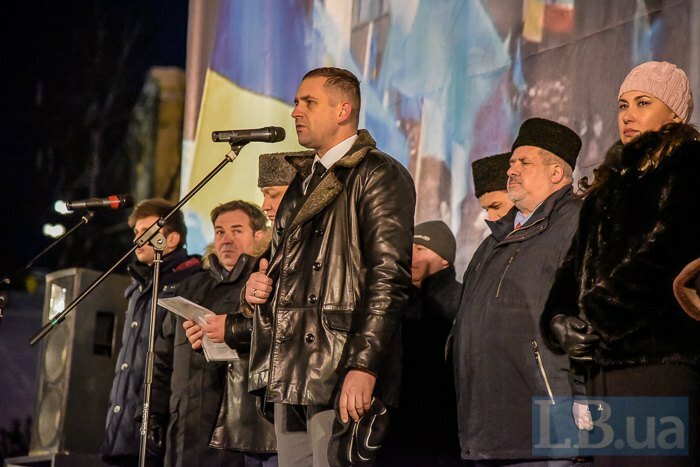 According to an LB.ua, activists, politicians and members of the Crimean Tatar self-styled government Majlis came to Independence Square to say "No to Russian occupation!" 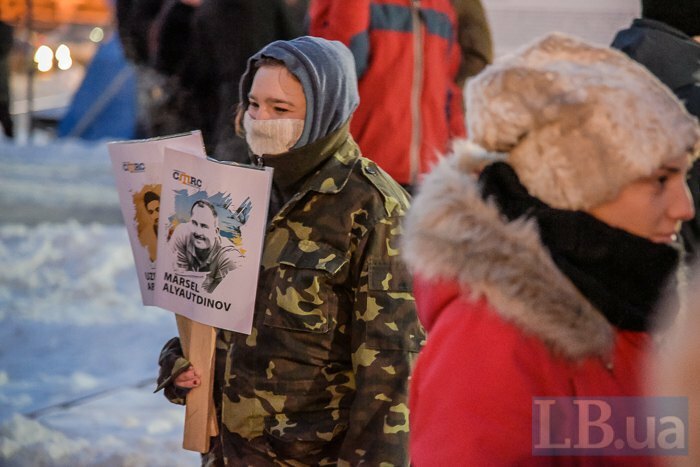 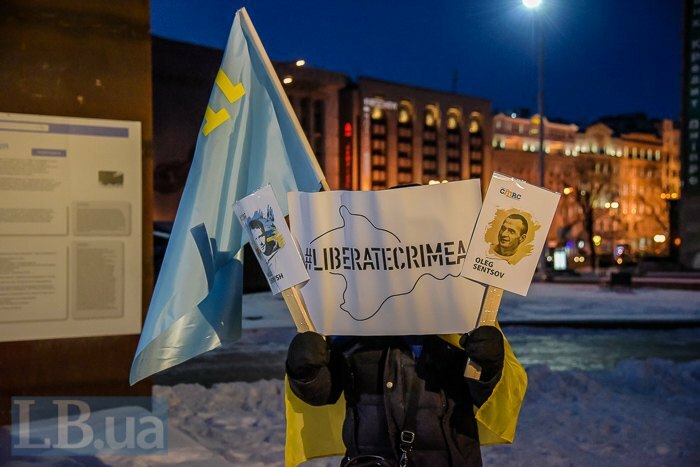 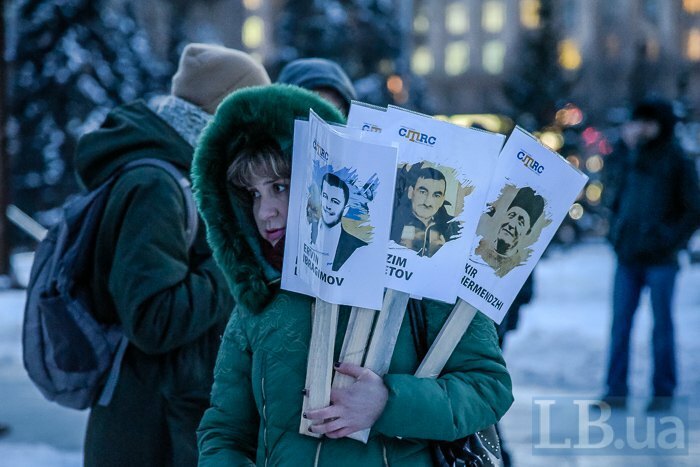 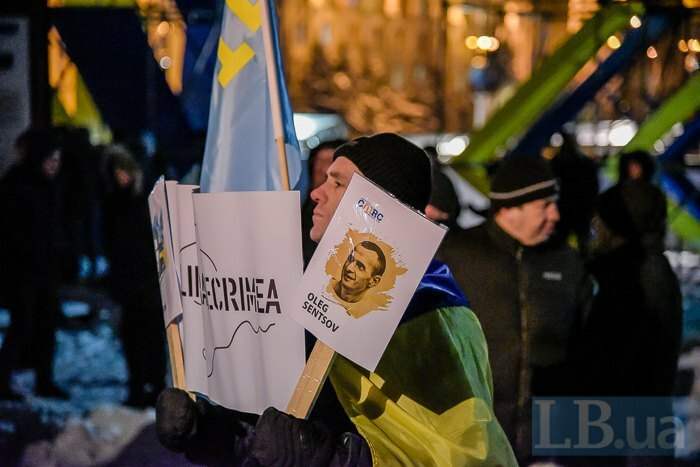 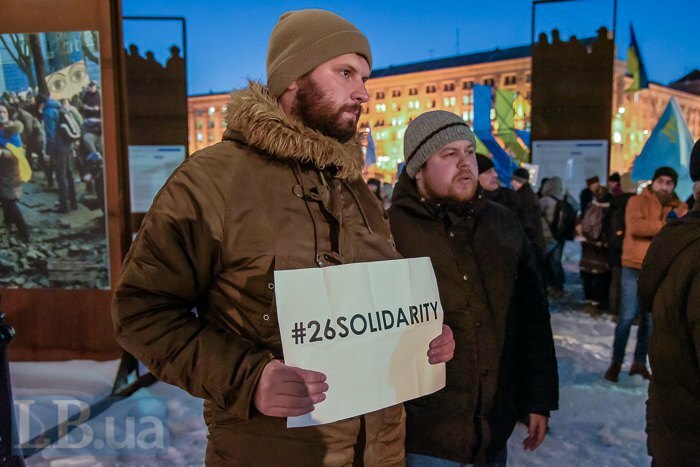 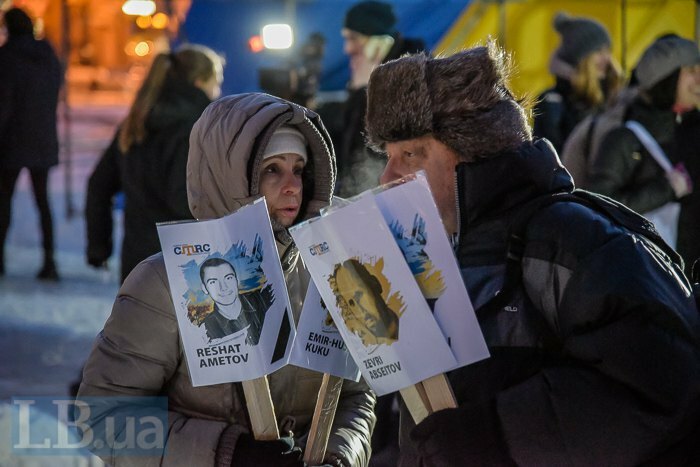 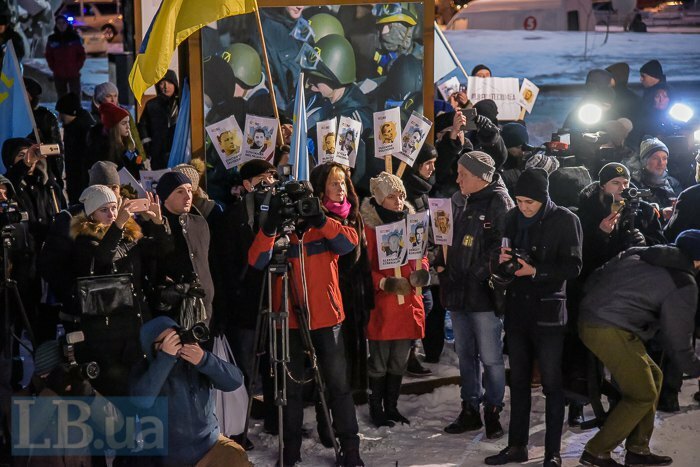 They were holding the Ukrainian and Crimean Tatar flags, pictures of abducted people and political prisoners taken hostaged by the Russian Federal Security Service (FSB). 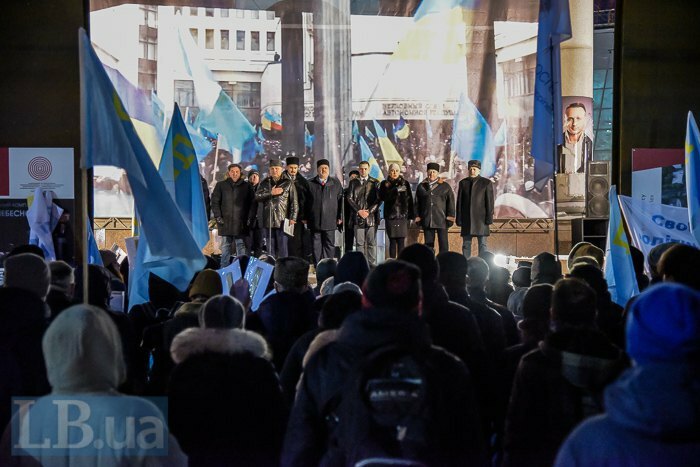 They also paid tribute to those who were killed by the Russian occupiers.